Create quick, easy and unique designs with the Gel Plate Texture Combs. 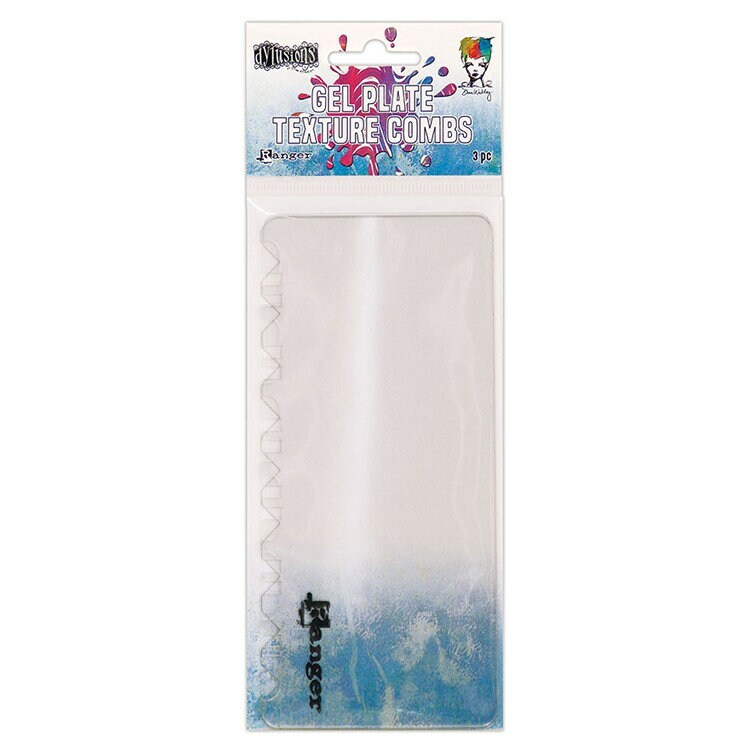 Made from durable and flexible plastic, these Texture Combs are perfect for running through paint and mediums on a Gel Plate to create one of a kind effects and patterns. Available in a 3 piece set featuring 3 designs.